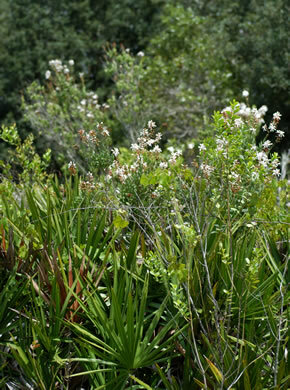 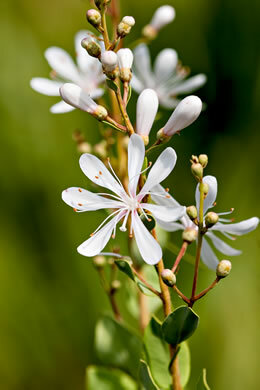 A slender sparsely branched 3-7' shrub w hairy twigs & stiff erect branches, per Atlantic Coastal Plain Wildflowers. 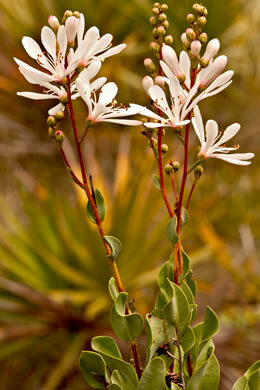 Leaves entire, leathery, tpically angled upward along the stem & twisted, per Atlantic Coastal Plain Wildflowers. 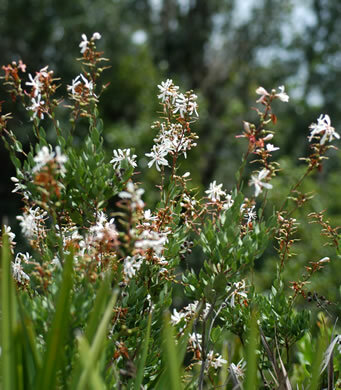 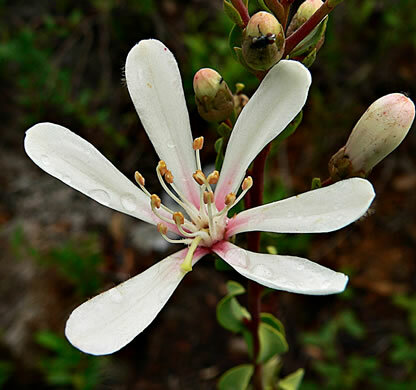 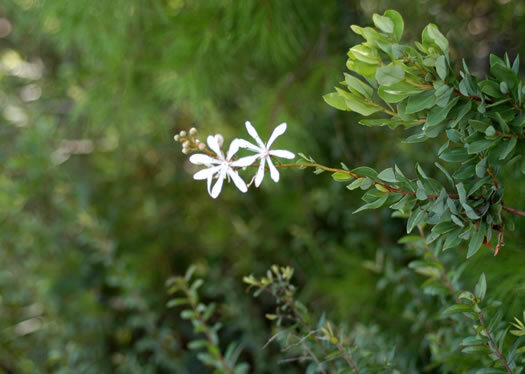 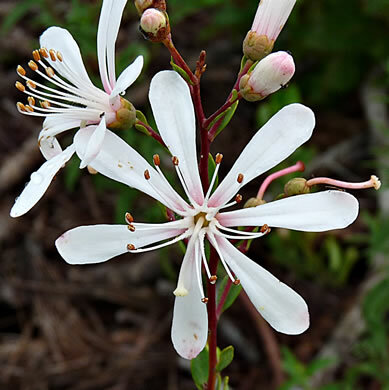 Flowers sticky, fragrant, bright white (often tinged with pink), per Atlantic Coastal Plain Wildflowers.